Kenyan born Zain Verjee is one of the world’s most respected and recognized journalists, with 14 years of experience at CNN as an anchor, reporter and in-depth interviewer. Zain invests her personal time in understanding the people and communities that she meets in the course of travels to countries around the world for her work. Her passion for Africa led her to create aKoma, Africa’s premier digital storytelling platform. aKoma captures the diverse and creative energy of the continent, and provides a global platform for story-telling from an African perspective. 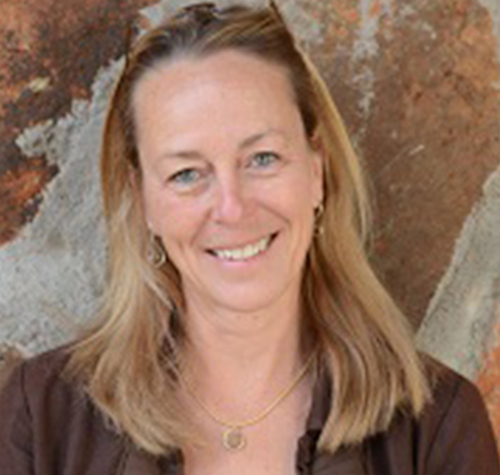 Katherine Carpenter is an award-winning documentary filmmaker specializing in wildlife conservation and environmental science topics around the world. 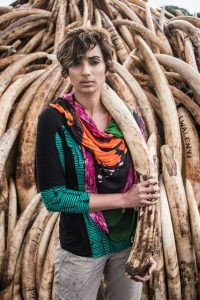 Most recently, she produced two National Geographic specials for PBS, Bones of Turkana and Battle for the Elephants, filmed on location in Kenya, Tanzania and China. Her enthusiasm for wildlife conservation programming was nurtured while she was Vice President of Film/TV for National Audubon Productions, where she developed and produced wildlife series and specials in co-production with Animal Planet, Turner Broadcasting, PBS, Disney Channel and the BBC. Carpenter’s television honors include a Cable Ace Award for best documentary series, two Cable Ace nominations, an Emmy and an Emmy nomination, and nine Cine Golden Eagle Awards. She taught documentary film making at Princeton University. Asher Jay is an international adventurer and public figure whose compelling paintings, sculptures, installations, animations, publicity campaigns, and films all have a single purpose: to incite global action on behalf of wildlife conservation. A nomadic globe trotter who fell in love with New York while studying at Parson’s New School of Design, Asher travels to the frontline as a witness and story-teller, combatting illegal wildlife trafficking, promoting habitat sanctuaries and illuminating humanitarian emergencies. Her core message, repeated again and again, is the need for action to reverse biodiversity loss during the Anthropocene – the Age of Man. 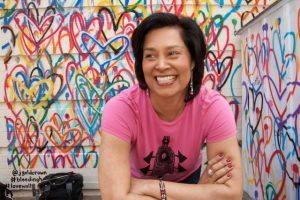 Termeh Rassi has over 20 years of experience developing innovative concepts and programs in multiple communications companies, from her pioneering days of AOL to the National Geographic Society where she now works. At NGS she has launched and managed several large initiatives such as the Special Investigations Unit focused on wildlife crime. 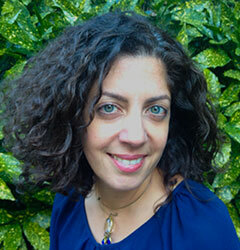 Working with both established organizations and start-ups, she specializes in fostering the emergence of new ideas, teams and approaches in complex environments. Her passions include changing the world, education, games, elegant solutions, engaging content, robust communities and innovation. 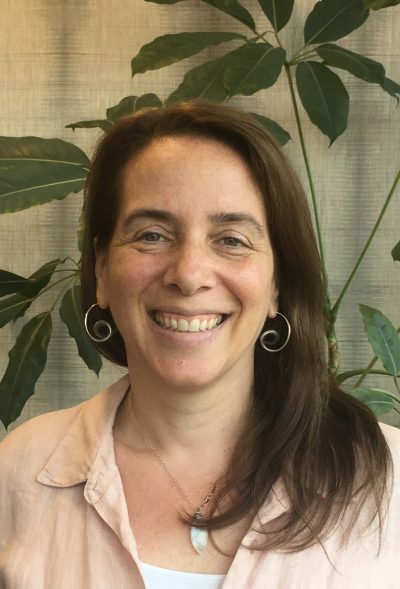 Sarah Laskin is an accomplished leader and facilitator with over 20 years of experience working with non-profit organizations on global programs in conservation, science, public engagement, and story-telling. She currently serves as the Vice President for National Advocacy at the National Wildlife Federation in Washington DC, working to engage the public in the cause of conservation. Prior to this, she spent 16 years at the National Geographic Society in their Science and Exploration Programs. Sarah’s passion for and commitment to protecting wildlife and reconnecting people to a conservation stewardship ethic grew out of a six-week visit to Kenya when she was 17. 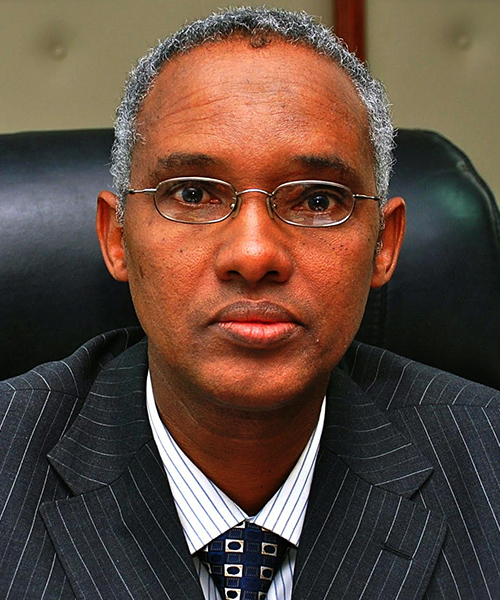 Ali Daud Mohamed is an environment and development expert with over 30 years experience in the public service of Kenya and has strong analytical skills and deep knowledge of the inter-linkages between environment and development from both international and national perspectives. He has extensive experience in public policy development and implementation. 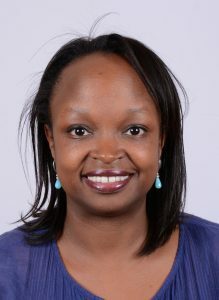 Ali has served as Permanent Secretary in the Ministries of Environment and Special Programmes in the Office of the President of Kenya. He has been elected to many international positions including as President of the International Conference on Chemicals Management and Africa’s representative in the Standing Committee on (Climate) Finance, among others. He has vast experience in public policy development, administration and implementation, with rich experience in international cooperation issues and multilateral agreements. He is a specialist in international conventions and treaty negotiations; international project development and implementation; integrated resource management; coastal and marine environmental management. 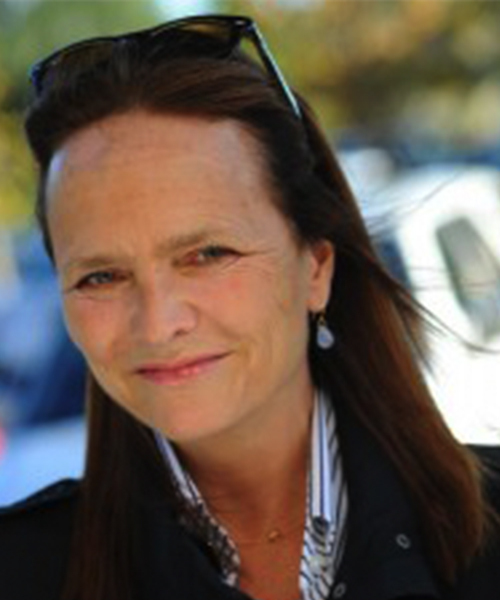 Margaret Kinnaird, formerly with Wildlife Conservation Society and the Executive Director of Mpala Research Center, is the Global Wildlife Practice Leader at World Wildlife Fund – International and a recognized scientist with extensive experience in Africa and Asia. Margaret joins the board to help WildlifeDirect align its strategies to global agendas and promote the publication of WildlifeDirect’s accomplishments in recognized scientific journals. 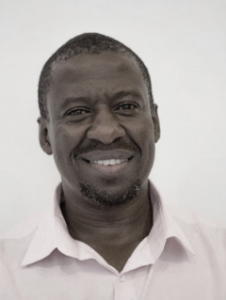 Edward Muriu is the Founder Partner of MMC Africa Law, One of the Largest Indigenous Commercial Law Firms in Kenya, where he seats as the Team Leader. He is a Member of Boards of Directors in a number of Companies with interest in Finance, Horticulture and Real Estate. He is a Senior member of the Commonwealth Institute of Directors. 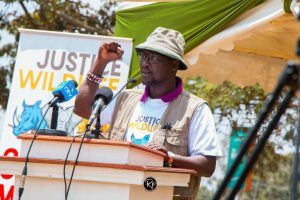 He has been active in conservation activities through partcipatinon in Rhino Charge, Lewa Marathon and Uvumbuzi conservation Club. Lately, he has taken Public Interest Litigation as a core Business line to fight for Environmental, Conservation and Human Right Causes. Edward brings to WildlifeDirect a wealth of experience in Corporate governance and valuable Networks for Corporate and Public Sector.